We’re hugely excited to announce a brand new project commissioned by the Natural History Museum – COMPANION: MOON. 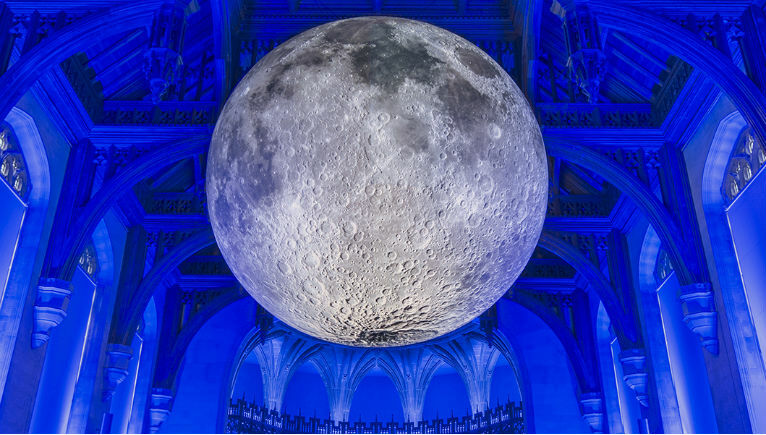 COMPANION: MOON is a new experience by Coney for Natural History Museum visitors, performed alongside Museum of the Moon, an awe-inspiring large scale artwork by Luke Jerram. Inspired by Jerram’s artwork and conversations with Natural History Museum scientists, visitors can join in or observe as multiple art forms and science combine in a beautiful, gentle and open encounter. The experience will explore the relationship between our planet and the Moon and the constant push and pull between these two celestial bodies. We’ll invite visitors of all ages to explore this connection in an interactive experience encompassing sound, movement and space. Working alongside the Natural History Museum’s team of experts is the kind of creative opportunity we relish here at Coney -a collaboration between science and art throws up so much potential for new and playful experience. We can’t wait to bring COMPANION: MOON to the Jerwood Gallery. Performances are free to attend and taking place on a range of dates from May to August this year – find out more here.